Vince McMahon is the most important figure in all of pro wrestling/sports entertainment. He took an opportunity that he had and seized it by the throat and changed it forever. Whether you agree with his way of going about it, he ensured that the WWE became the giant of the industry, eventually dwarfing out or eliminating all forms of competition. Today, WWE remains the Global Sports Entertainment juggernaut, and the reason why is that it happens to be because of one man - Vincent Kennedy McMahon. He's been the biggest villain on television and is still in scrutiny by fans unhappy with the product. While he's often portrayed as the most intimidating person in real life, he would tell you otherwise. Certain superstars have revealed that there are tall, built, intimidating men who often think twice or thrice before knocking on McMahon's office. That doesn't mean that he doesn't have a soft spot. In fact, coming from a rough childhood, it wouldn't be surprising to say that Vince McMahon is a very sensitive human being. He's even been seen crying in front of the cameras. 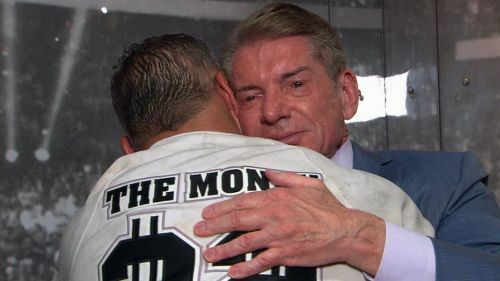 Camera or no camera, we reveal five instances that made the Chairman of WWE break down in tears. It's no secret that Vince McMahon and The Ultimate Warrior were on odds against each other for over a decade. All the bad blood that they had would eventually come to a mature close around WrestleMania 30 weekend, where The Ultimate Warrior agreed to be inducted into the WWE Hall of Fame. As a result, the broken bridge was mended, it was a great conclusion, with McMahon and Warrior's relationship being restored. Tragically, a few days after his Hall of Fame induction, Warrior passed away. 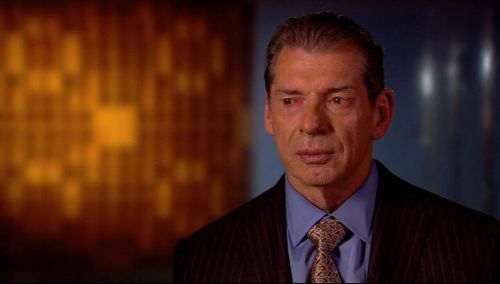 In the documentary WWE made about Warrior post-death, McMahon is seen visibly shedding tears for his old friend.